Please note the change of venue now as below for this event. 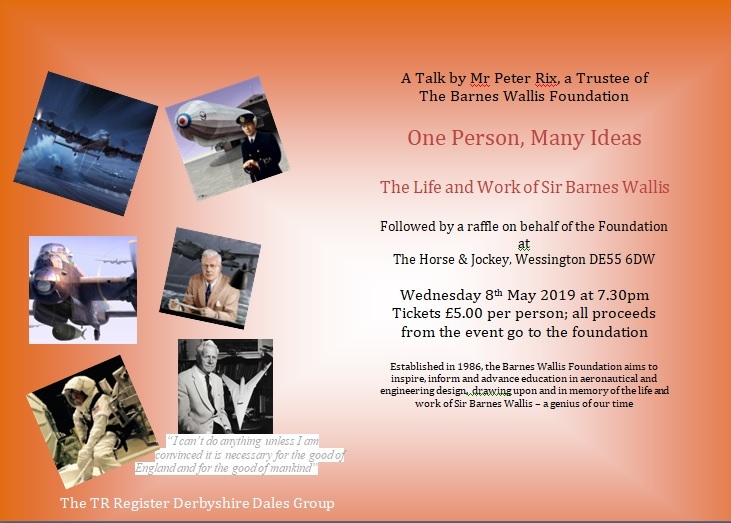 Our club night this month will be at the Red Lion Peak Edge Hotel, Darley Road, Stone Edge, Chesterfield, Derbyshire, S45 0LW where Mr Peter Rix will be giving an entertaining and educational talk on the life and work of Sir Barnes Wallis. The evening will start at 7.30pm prompt and entrance tickets will cost £5 per person. All proceeds will go to The Barnes Wallis Foundation.